How long did it take to amass this collection? Love the orange, which I think was a limited edition… just wondering if you bought them new or went in search of them on eBay, which I may have to resort to. 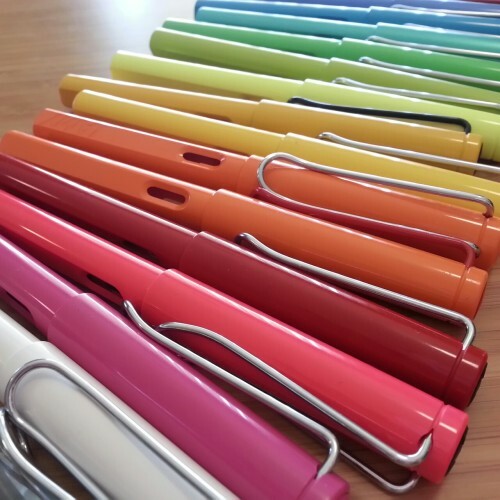 It took me awhile – I’ve been obsessed with buying whatever new color is released each year, and have been into fountain pens since 2008 or so. And with the occasional ebay find for the older ones (which I use all the time, all hail the ebays! ), have managed to find or buy quite a few. 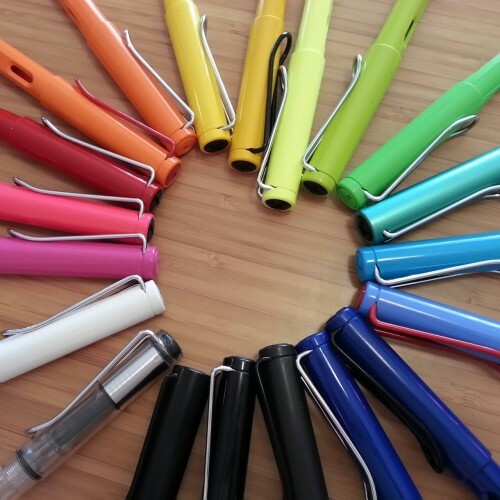 I have focused mostly on the Lamy Safaris as I like the bright colors and plastic better, but have recently expanded a little bit into the aluminum Al-Stars too, and am starting to like those more and more (although my pocketbook does not agree). For all those starting in the Lamy frenzy, I wouldn’t recommend buying your pens on eBay unless you want to spend copious amounts of money. You’re better off visiting pen shops, classifieds on pen forums and sometimes Amazon. Case in point, the least expensive Al-Star Matte Black on eBay (a few days ago), was more than $200 a few days back. In Amazon it retails for less than $80. Good point, eBay can sometimes be higher. But in your example, the Lamy Al-Star Matte Black was a limited edition from a year or two ago. Once the limited editions come and go, you do see the prices on eBay, and Amazon to varying extents, increase dramatically. However, the regularly released colors and current limited editions are still widely available at a normal price range of about $40. 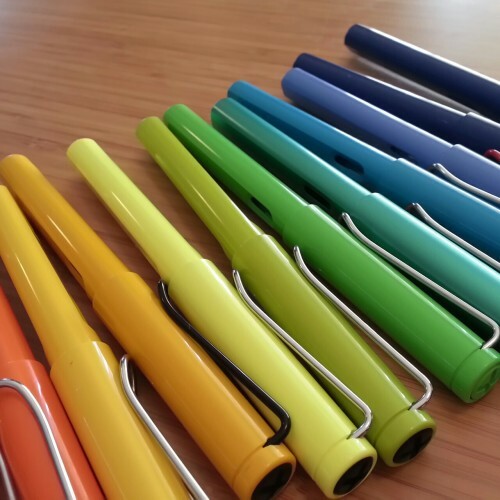 Collecting Lamy’s is a long-term hobby!